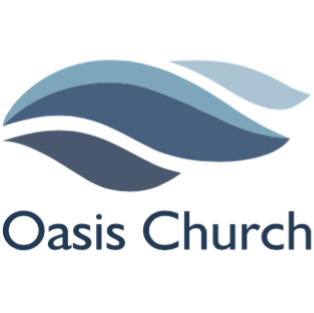 ABIDE is an important part of Oasis Church. We believe young adults are the future of the church, and our goal through this ministry is to build genuine relationships with young adults in order to support them and be a part of their lives. We hope to provide an environment of trust, care and instruction in order to build those relationships, by accepting young adults for who they are and create relationships that are honest, open and real. We want to provide opportunities where they are challenged in their faith, using their gifts and attempting new things in a supporting and caring environment. Our ministry leader is Hunter Britt, and his top priority to serve young adults through prayer, small groups, special events and anything else he can do to help these individuals grow and know the love of Christ. One of his greatest passions is building relationships with people and creating life-changing community in their day-to-day lives, and he is committed to helping others find freedom and purpose through the gospel of Jesus Christ. To interact with Hunter, please feel free to comment below. ABIDE is our place for young adults to come together weekly for fellowship, bible study and prayer, plus one big worship night at the beginning of every month. Remain in me, and I will remain in you. For a branch cannot produce fruit if it is severed from the vine, and you cannot be fruitful unless you remain in me. “Yes, I am the vine; you are the branches. Those who remain in me, and I in them, will produce much fruit. For apart from me you can do nothing. Anyone who does not remain in me is thrown away like a useless branch and withers. Such branches are gathered into a pile to be burned. But if you remain in me and my words remain in you, you may ask for anything you want, and it will be granted! When you produce much fruit, you are my true disciples. This brings great glory to my Father. “I have loved you even as the Father has loved me. Remain in my love. When you obey my commandments, you remain in my love, just as I obey my Father’s commandments and remain in his love.